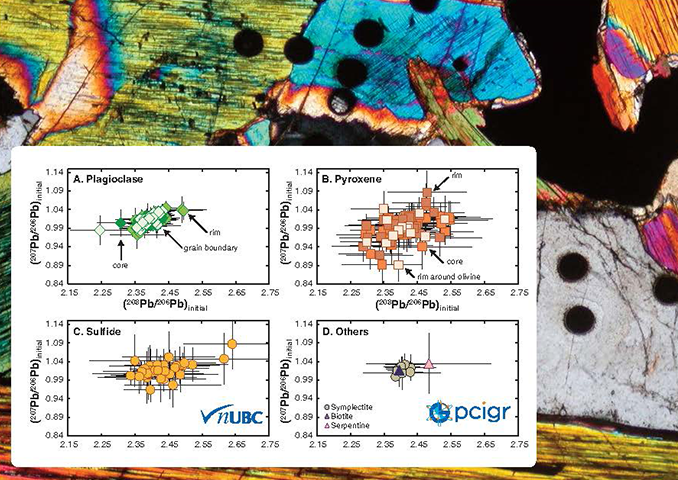 In situ Pb isotopic compositions provide robust records of the sources and processes involved during crystallization of magma. This project focuses on determining the Pb isotopic compositions of the Kiglapait intrusion with a high spatial resolution. At the Pacific Centre for Isotopic and Geochemical Research at British Columbia University, PhD student Anaïs Fourny measures in situ Pb isotopic compositions on the Nu AttoM (HR-ICP-MS). Image submitted by Professor Dominique Weis, Pacific Centre for Isotopic and Geochemical Research, University of British Columbia. Courtesy of Anaïs Fourny, Pacific Centre for Isotopic and Geochemical Research, University of British Columbia.